As we use technology to transact our lives we typically operate within at least one if not two frameworks, our personal and our business. This distinction comes naturally as we have been conditioned to keep our personal lives separate and distinct from our work lives. So, what happens when you decide to become a Board member? Board members of any entity, public or private, small or large, for profit or not-for-profit, have fiduciary and legal responsibilities that are subject to inspection, scrutiny and lawsuits. As you would never commingle your personal life with your work or business nor should you do so with your Board Management responsibilities. You must insure that the Board you serve on has the appropriate framework in place to support the management, communication and collaboration needs. Office of the Board provides that operating framework. Instantaneously, Board members are provided with a systematically customized entity email account, a document management system with folders jurisdictionally tailored to your entity, a Board-centric calendar and contacts system, features for Board discussion, documentation, voting, e-signing, the ability to consult with board members outside of your board and other relevant features. All of these resources are securely contained within a customized patent-pending Risk Intelligent Framework that is accessible by permitted members of your Board and the people who work with them whenever and wherever convenient for them. Whether the Board members and others working with them should have email, document management, a calendar, contacts, publisher and other features and resources, is totally within your control. The Boardroom administrator has access to all features so you’ll be able to decide whether all members should have every feature or just some of them. 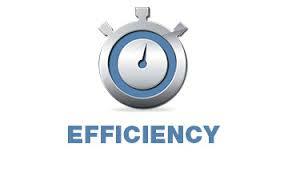 With a novel daily billing system users are afforded the best cost without compromise to security. When members change, you can turn features off for the outgoing member and on for new members. The Office of the Board preserves the historical record and continuity in transitions. New members can pick up exactly where the outgoing members left off.